The original storyline of “Bahubali” must have been exactly like it was illustrated in the Amar Chitra Katha comic by the same title (whose influence was always acknowledged by maker SS Rajamouli) – two brothers Bahubali and Bhalla born to the same king vie for the Mahishmati kingdom, the king and the queen decide to have a decathlon of disciplines in which they compete with each other and the winner is one who is the mightier, nobler, kinder and the most-skilled of the two. [pullquote position=”right”]The much-awaited “Bahubali” takes us back in time to an enchanted world of a man whose destiny drives him from wilderness to take charge of a lost kingdom. Despite shortcomings, Rajamouli weaves a visual extravaganza that will make Indian film industry proud. [/pullquote]Eventually, Bahubali wins but he becomes spiritual and renounces the kingdom in favour of the same sibling who rivalled him since childhood. This part, the spiritual part could well be the second part (“Bahubali: The Conclusion”). But the part of the rivalry between the two brothers is inter-twined with a bizarre twist of a dual role by Prabhas who plays both the legendary Bahubali – competes with Bhalla Deva (Rana Daggubati) – as well as the younger Bahubali. The story gets padded to make a neat Chandamama tale of a son abandoned by a queen mother on the ravages of an empire, rescued by a tribal village living on the edge of its waterfall. Young Prabhas grows up in a hamlet ending on the riverside of a waterfall raised by Rohini. He grows up true to his name as a mighty and valiant man who can lift boulders, uproot trees and carry weighty Shiv Ling easily. [pullquote position=”left”]Prabhas looks thoroughly convincing in his title role – he has the best metrosexual looks in the South after Hrithik Roshan and makes the most of his body frame with an occasional swagger and twitch in the face to give back mouthfuls. Rana Daggubati, finally gets a role that suits his Herculean body-frame and the mischievous twinkle in his eyes [/pullquote]His destiny, she wishes is more towards Godly worship but it takes a turn towards romance with a Xena-like warrior Tamannah and eventually in the direction in which Tamannah takes – to the kingdom of Mahishmati ruled by the wicked king Bhallala Deva (Rana) in order to liberate Deva Sena (Anushka) from his clutches. Will Bahubali Jr. rescue Deva Sena, challenge Bhalla and find who his real father is and how he perished? That forms the second half. What makes “Bahubali” tick is the extra-ordinary visual feast and the detailed presentation of the main motifs of the story. While the first half has dazzling scenic grandeur in the forestry filled with lavish waterfalls and snow-capped valleys, the kingdom of Mahishmati towards the end of the first half and the whole of the second half takes the cake for extravagant settings although the graphics tell what is real and what is surreal. Like an Amish Tripathi work of mythological fiction, Rajamouli depicts the raw energy, swashbuckle and chivalry about the men and women who fight for a cause or a kingdom’s army and their paraphernalia of steel body-shields, helmets, bows, quivers and arrows, spears, boomerang balls hoisted on adjustable metal rods, maces, helicopter chariot-cars, the whole array of infantry and artillery formations and those gun-shot spherical balls which unnerve the opposing armies. We may have seen many of these in Hollywood films but the thrills of watching them again in a kingdom not far from our native settings definitely make the film a worthy watch. In the entire duration of 159 minutes, a few action sequences stand out in the first and second half like Tamannah’s rescue act by Bahubali Jr and the sequence of Bhalla’s men chasing Bahubali post-erection of Bhalla’s statue. [pullquote position=”right”]What makes “Bahubali” tick is the extra-ordinary visual feast and the detailed presentation of the main motifs of the story[/pullquote]But the one that steals the show and undoubtedly gets the hat-tip from the audience is the magnificent detail and cinematography of Senthil that went into the battle ground action that comes in the climax of the film. Stretching well beyond 35 minutes, this sequence will be remembered forever as Rajamouli’s finest output in building pace and emotion in a war scenario – something that will be benchmarked for Indian films hereafter and revered until Rajamouli himself decides to outdo himself whenever he is ready with a retelling of Mahabharat-Kurukshetra (his dream project). Most films which had even average story redeem themselves in one or two action sequences – but Rajamouli aced it up well on this count with eye-popping imagery and action by Peter Heins on this battle sequence where a grotesque-looking one-eyed King Prabhakar is outwitted and eventually outplayed by the Trisul formation of Bahubali, Bhalla and Satyaraj. I feel kids who soak up on Hollywood action movies of the BCE era will flock to see this sequence – it is that gripping and majestic. There are at least four or five mini-action sequences which sizzle. Action forms the nub of the film and one sees Rajamouli revel in this art – his main flaw is the fleeting romance between Prabhas and Tamannah. It is cute but not cute enough to embellish a serious tale like this which doesn’t have too many twists and more or less relies on flashback to render variety to the plot. Because Anushka’s meatier role is trapped in flashback which may be unveiled in the sequel, the romance part could have got beefed up in the second half, all we see is one rocking item song of three new “bad” girls from Bollywood. Comedy is seriously amiss but this has never been Rajamouli’s forte nor the mainstay in his films. Performances-wise and Characterisation-wise, Prabhas looks thoroughly convincing in his title role – he has the best metro sexual looks in the South after Hrithik Roshan and makes the most of his body frame with an occasional swagger and twitch in the face to give back mouthfuls – one scene rewinds you to “Chhatrapathi” but overall Prabhas delivers with a serene and supra-confident look throughout – if only his dialogue delivery improves he will outrun everybody else. A tanned Tamannah is the real surprise packet in the film – she is taut, lissome and makes the right moves to pursue her mission in the role as well as entrance Prabhas. The opening song of “Dheevara” in which she first appears makes the audience drool over her demure looks. She shows that glamour with action is the right prescription for her to go places. Rana Daggubati, finally gets a role that suits his Herculean body-frame and the mischievous twinkle in his eyes – he gets a rare opportunity to gather some sunshine eluding him so far – by sparring with Prabhas in a never-before plot. He speaks the best Telugu in the film industry and if he can select roles like this instead of wasting his time in Bollywood as an also-ran, he can resurrect his fortunes. It doesn’t matter whether you are a hero or a villain – screen presence is all that matters and he has plenty of it, as proved in this film. Screen presence is also there for two other noteworthy characters in the film with standout performances – one is Ramya Krishna as Sivagami, the queen mother. She is impressive and gives a dignified performance without diluting the tempo throughout. Her dialogues also uplift the main character of Bahubali in revving up heroism and bravery. Satyaraj gets the most interesting and convincing role in the story – as a slave-general who stands like a pillar of the Mahishmati Kingdom – his costumes and his transition into a trusted lieutenant adds weight and respect for his role. That one sequence of sword-fighting with a “Cameo-performing” Sudeep (“Eega” fame) is a real paisa-vasool. Satyaraj’s characterization is similar to another famous Amar Chitra Katha comic which depicts the legendary fall and rise of one of the most famous slave kings of the Delhi Sultanate – Balban. Sudeep, as an Arab trader makes a style statement even in a five-minute cameo. Nazar is forgettable. Prabhakar, as the gory and barbarian king who slugs it out in the climax battle gets a great role that will go down well with the masses – those bits of Turkish and Arabic tongue that he lashes out on the battle-field are the only comi-villain moments of the film. Anushka doesn’t have a role in the film except to show as a damsel in distress and in chains. Her best role is yet to come and those who loved the teaser of her role as Deva Sena will have to wait longer till 2016. Technically, the film is brilliant in all aspects except in portions where the cardboard stills of the kingdom were not shown as authentic as the SFX. Editing lags a bit. MM Keeravani’s songs looked better on-screen than the soundtrack because of some good effects. The most melodious track “Pacha Bottesinaa..” is cut short after the first line of lyrics – this is quite typical of Rajamouli who squeezes in more action than the moments that can cascade some romance and relief. He has edited out the best song of “Eega” (“Are Are Are Aree..”) likewise. 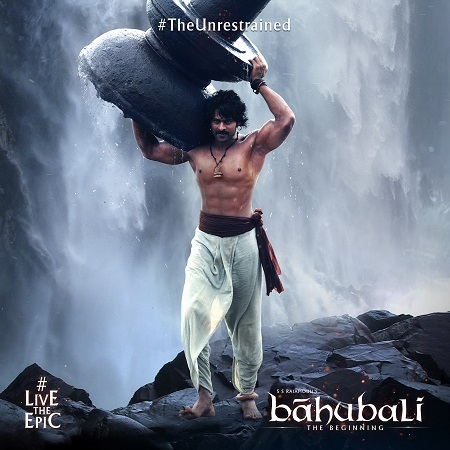 [pullquote position=”left”]Bahubali is a rare treat on an Indian Canvass that made a once-in-a-generation noise and unlike other potboilers of recent past which bombed because of disparity between hype and expectations, this one has a better consistency check and good quality action-oriented entertainment. This needs to be celebrated and applauded despite its shortcomings. [/pullquote]But where Keeravani outclasses himself is in the BGM –he uses the sounds of the characters to cloud out his music sometimes, at other times, he uses bare silence to make the scene stand out. 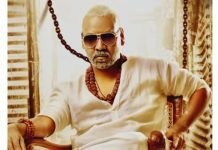 He is easily the most under-rated music composers of Indian Cinema – having got three different screen names in Tollywood (as MM Keeravani), Kollywood (Marakatamani) and Bollywood (MM Kreem). Only Rajamouli and few others like K Raghavendra Rao have used this home-grown talent called Keeravani well. The BGM for the film definitely makes the film more sonorous to watch. Senthil’s cinematography is definitely breath-taking – it uses more wide-canvass lens to make each frame pop out on-screen. What mars the film, apart from lack of comedy and romance in full swing is the story which is uni-layered and the abrupt ending after the battle scene. Even if Rajamouli has chopped off some action sequences in the first half, the output would have delivered a knock-out punch had he concentrated on some emotions that failed to evoke – like the mother-son sentiment between Ramyakrishna and Prabhas, or the epochal moment of coronation or the pathos of Anushka or the sibling rivalry between Rana and Prabhas. But in all fairness, the output is consistent with Rajamouli’s talents and promise, it doesn’t disappoint and definitely deserves a watch once. In Hollywood films made on the Superheroes like Batman, Spiderman and Superman are never rated but get a universal applause, even if they are under-rated. In my view, “Bahubali – the Beginning” is one such film – it is rated for the part of the critical analysis but the rating doesn’t have to influence your decision to watch just like the Superhero films. You will not be disappointed with it. 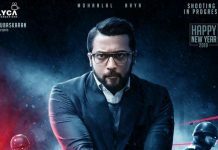 This is a rare treat on an Indian Canvass that made a once-in-a-generation noise and unlike other potboilers of recent past which bombed because of disparity between hype and expectations, this one has a better consistency check and good quality action-oriented entertainment. This needs to be celebrated and applauded despite its shortcomings.